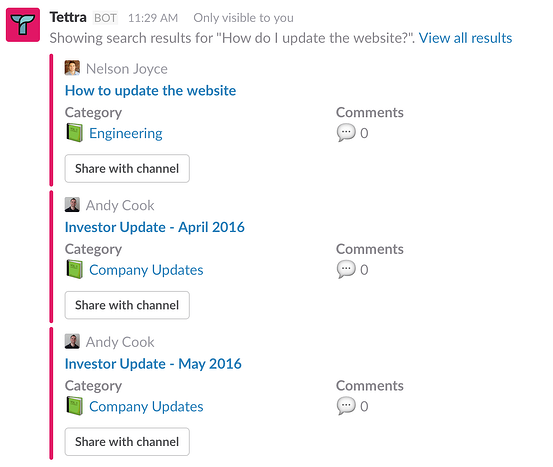 Slack is being used by teams of all sizes from NASA to startups. For those of you who don’t know Slack is a real-time messaging app that can be used between coworkers to collaborate as well as communicate with customers to offer better customer support. The best feature Slack has to offer are the third-party integrations that simply plug and play. This allows Slack to be much more than just a messaging app. These integrations may allow you to do tasks such as polling your teammates, tracking bugs, fielding questions from potential customers etc. 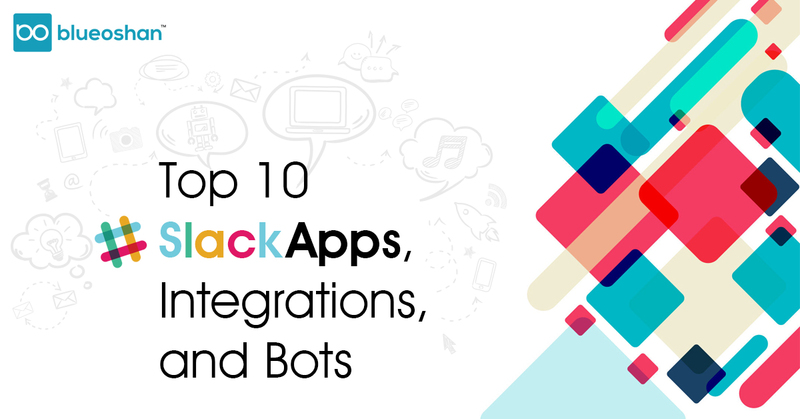 The list is actually quite long, so we decided to explore the Slack App Directory and shortlist the apps, integrations and bots that caught our attention. If you enjoy our blogs, don’t forget to subscribe to our newsletter for more! But first, let’s learn how to add an app or integration to Slack. 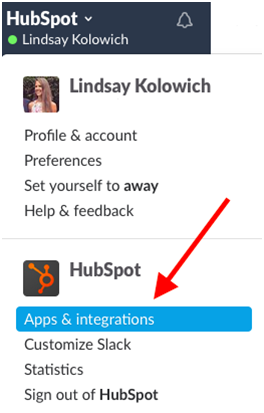 You can add integrations/apps to Slack either via the Slack App Directory or by find an individual app and then clicking on it’s “Add to Slack” button. To add apps via an "Add to Slack" button: Look for these “Add to Slack” button around the web to add your favourite apps in one click. Sometimes you might have trouble adding apps and integrations to your team’s Slack. This may happen if you do not have the proper permissions. Team owners or admins can limit who has permission to add apps to a Slack team. All you have to do is click on the number, and everybody sees the results. Manage your sales pipeline in team conversations with Troops. This task manager is great for salespeople as it allows every member of a sales team to collaborate, manage and report on their sales pipeline. The tool has an AI chatbot which notifies you as tasks approach or needs to be changed. Since the sales process is moving so quickly, it's difficult to keep track of every transaction. 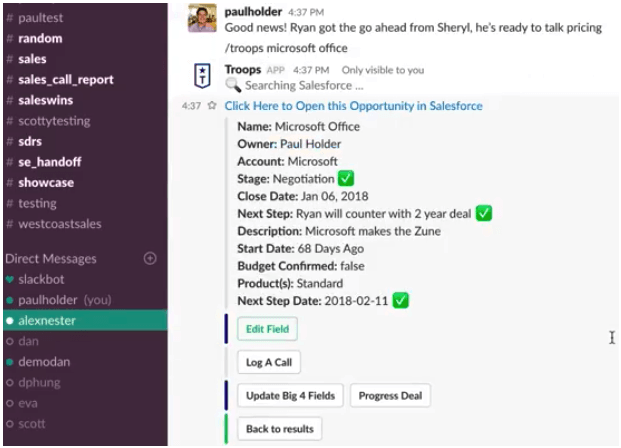 However, Troops integration with Slack will output chat-based alerts within Slack, that will allow salespeople to manage their pipeline while collaborating with the rest of the team at the same time. If you’re in the habit of taking screenshots and sending them to team members, then this is the app for you. Marker is an incredibly useful Chrome extension for people who need to manage all their piling up screenshots on Slack. Marker also integrates with Trello, GitHub and other applications. Once you have the application installed, you will be able to capture your whole screen or a portion of it, annotate it, and send it to person on Slack. Say goodbye to Snipping tool! Probably one of the most fun apps on this list! 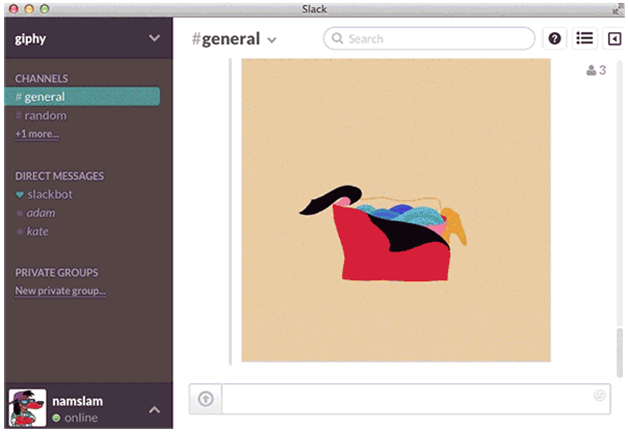 If you ever wanted to send a GIF to your teammates via slack then the Giphy Slack app is for you. The commands are pretty simple: /giphy followed by any phrase such as “awesome” or “cool”. The app will use that phrase to call in a random GIF from their library of GIFs, and it’ll post it along with the command. It’s fun, and also a great way to communicate with your coworkers. 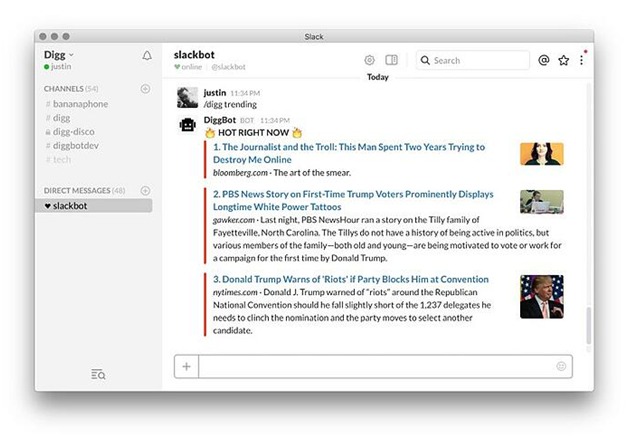 If you’re looking to find new content like news and video right in Slack, Diggbot is a great app to start with. Digg aggregates 10 million RSS feeds every day from virtually all publishers. Digg also collects 200 million tweets daily, 40 million of which include links. Their algorithms process all these links in real time, and their content curation team picks the best stories and videos. Diggbot has access to all this data and gives you the resulting stories and videos within Slack. Tettra allows you to organize and share information with your team in the form of an internal wiki. As your team expands, it’s harder to keep everyone in the loop with regards to document updates, new ideas, concepts, experiments and team updates. If your entire team is using Slack, Tettra is a simple collaboration tool to help your team organize and share important knowledge in one place. Let’s say you wanted to update your company’s website. 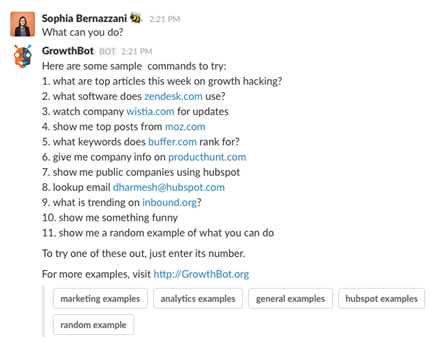 You can use a simple slash command to ask the question right within Slack -- and it'll search Tettra for internal information related to your question. The app also allows you to search the files that you’ve imported to Slack. However, these files aren’t stored in Slack, they’ll continue to be stored within Google Drive. Even though Google+ is being shut down, Google+ Enterprise is going to be used by a lot of companies. Hangouts are one of the most popular ways by which people still have conversations via video conference calls. Simply type /hangout to launch a Google+ hangout in a new window. Statsbot is great for getting analytics updates for specific metrics on-demand. If you use tools like Google Analytics, New Relic, or Mixpanel, then Statsbot is worth having in your Slack. Statsbot will monitor all the metrics from these tools and share updates with you in real time. So you don’t need to keep opening browser tabs and checking your analytics tools. You can ask for an unlimited number of data requests, reports, alerts and the app doesn’t charge. In the example below, you'll see the user opened up a conversation (either with his or her team or with Slackbot) and @-mentioned Statsbot. He typed in: @Statsbot: new users this week. Check out the conversation that follows to uncover some of the bot's capabilities. Slack is amazing if you integrate the right apps and bots to make your life easier. We recommend sharing this list with your colleagues so that they get on-board with these amazing apps. If you enjoy our blog, do subscribe to our newsletter for regular updates. Also, check out the BlueOshan Podcast - Simplify on Soundcloud if you’d like to learn more about inbound marketing and HubSpot.